2017 is off to a fantastic start for the Intradco team with a record-breaking horse charter successfully completed in the first week of January. 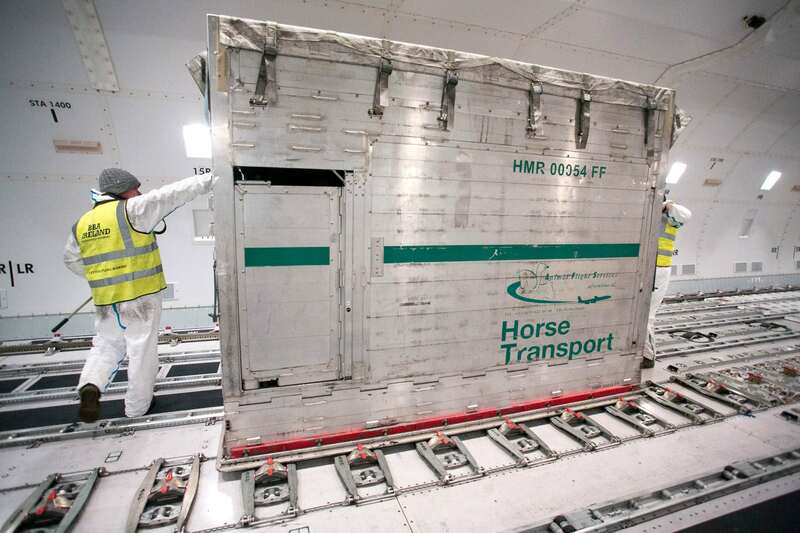 The 76 horse shipment from Ireland represents the biggest single movement of horses into China and has been described as a ‘major leap’ in the development of the lucrative Chinese racing market. 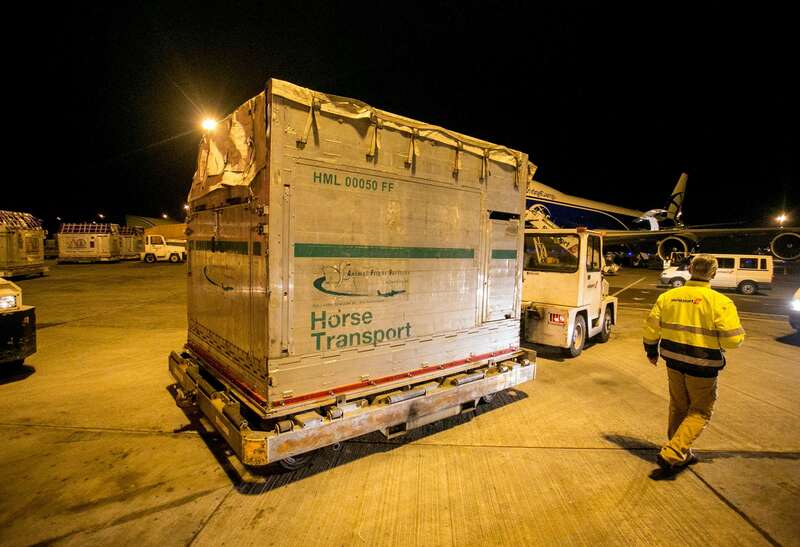 The horses arrived at Shannon Airport (SSN) at 19:00 where they were greeted by the BBA Shipping team and 30 professional handlers. 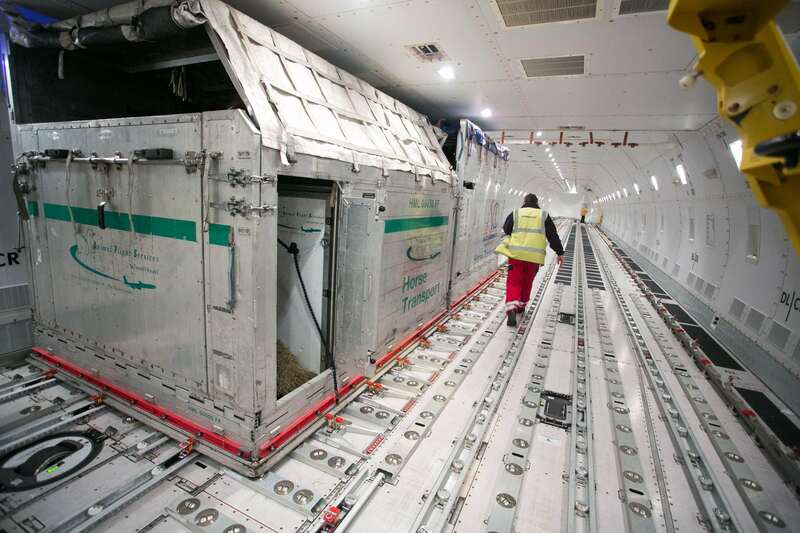 Loading began promptly at 19.25 once the animals were checked and ready for the flight. The whole operation took just four hours to load all 76 horses. The flight departed from Shannon Airport (SNN) at 02:35 on 5th January with a scheduled fuel-stop in Domodedovo (DME) before reaching its final destination of Beijing Capital International Airport (PEK). The project was led by Kildare-based bloodstock agency BBA Ireland, and is a culmination of years of work supported by Irish Thoroughbred Marketing (ITM) – the highly respected industry body that promotes Ireland as the leading source for the production and sale of quality thoroughbreds worldwide. Once settled into their new homes, the horses will go into training in preparation for racing in the hopes that they will become top racers in the local market. Managing the unique charter project was Intradco Director, Charlie McMullen alongside the specialist Intradco team who have been working closely with BBA to prepare for the flight. “It was a pleasure to be involved in the first export of such size to China. 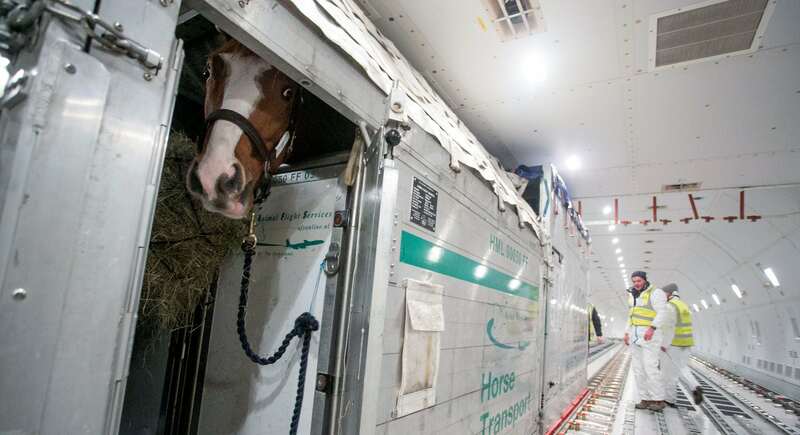 Our involvement was to source a suitable aircraft, stalls and arrange the professional flying grooms for the smooth loading, transit and offload of all 76 horses. We hope the success of this movement assists BBA Ireland the whole Irish thoroughbred industry to create more opportunities for Chinese market. BBA and those involved in the project are hopeful the consignment will lead to further purchases by Chinese racing and breeding interests. Currently as the market stands, the majority of thoroughbred horses are imported from Australia and New Zealand who are able to import directly to China. However, this movement shows promise of the growing Chinese interest in the more expensive, higher-quality Irish stock.